Key difference: Samsung has now expanded its’ offerings in the phablet category by introducing the Samsung Galaxy Mega 5.8 and Samsung Galaxy Mega 6.3. The Samsung Galaxy Mega 6.3 is named such because of its 6.3 inch TFT capacitive touchscreen with a resolution of 720 x 1280 pixels. The phone is powered by a Dual-core 1.7 GHz Cortex-A15 processor with a 1.5 GB RAM. The iPad Mini is a sleeker, thinner iPad 2. The iPad Mini comes with a 7.9-inch LED-backlit multi-touch display with IPS technology touchscreen coated with a fingerprint-resistant oleophobic material. The device houses a 1 GHz Dual-core Cortex-A9 processor and the Apple A5 chipset and a 512 MB RAM. 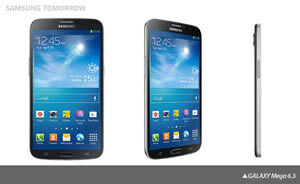 Samsung is also credited with creating the ‘phablet’ category by introducing the Samsung Galaxy Note. A phablet is a cross between a phone and a tablet; it sized as a table but with all the properties of a phone. Samsung has now expanded its’ offerings in the phablet category by introducing the Samsung Galaxy Mega 5.8 and Samsung Galaxy Mega 6.3. The iPad Mini is a sleeker, thinner iPad 2, note currently the company is on its 4th generation iPad. The iPad Mini comes with a 7.9-inch LED-backlit multi‑touch display with IPS technology touchscreen coated with a fingerprint-resistant oleophobic material. True to the Apple design, the iPad Mini also have a slick, steel chassis that is comfortable to hold. 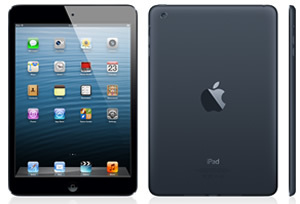 The company has launched two different models of the iPad Mini; Wi-Fi and Wi-Fi + Cellular. The Wi-Fi is a little cheaper and does not have a SIM slot, while the Wi-Fi + Cellular model is able to support 2G, 3G and 4G operations. One of the most touted features of the device is the weight. The device is super light and weight around 308 grams for the Wi-Fi and the 312 grams for the Wi-Fi + Cellular. The 7.9-inch screen provides 768 x 1024 pixels and an approximate 162 pixel density; it is not the best resolution available specially with the iPad 2 with Retina display. The screen has been said to be a bit grainy in viewing. The information for the detailed table about the two phones has been taken from the Apple website, samsungmobilepress.com, samsungtomorrow.com, gdgt.com and GSMarena.com.